Many of us may find that we spend much of our time in social situations. We do so in order to work together with colleagues, and to spend our leisure time together with friends and family as well. This can be a great pleasure, but it can also sometimes leave us feeling fatigued and drained. In order to reconnect with ourselves, we need to get away from it all so that we can gain some perspective and push the reset button on our own lives. With that in mind, here are 5 hidden tropical islands with only one resort you must experience. Each one really is the only resort based on the island, and as such is private, secluded, and quiet – the perfect place to give you the time and space you need. Some of the islands take some time to get to, but this only adds to the experience of seclusion when you arrive. 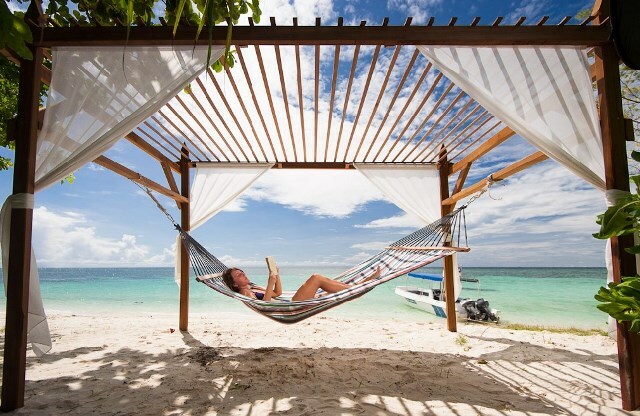 It’s also well worth the effort when you get to spend your days scuba diving, snorkeling, lying in the sun, or simply reading a book next to the sparkling sea. Misool Eco Resort is the place to come if you love diving and are passionate about conservation at the same time, as the resort operates as both a diving center and a center for conservation. 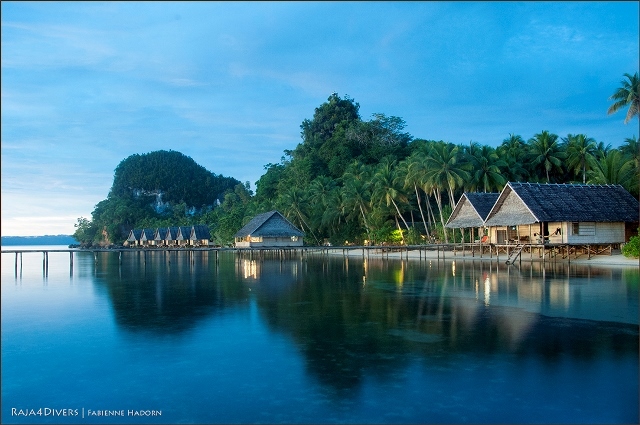 Raja Ampat is known in Indonesian for its amazing marine biodiversity, and if you stay at Misool Eco Resort then you will get to witness this firsthand as you will be in the middle of an area of protected Marine Park that spans 1,220 square kilometers (471 square miles). The resort sits beneath the equator and you will get to enjoy wide sandy beaches as well as gorgeous and thriving coral reefs. There is a capacity of 40 guests, so there will be no large party crowds when you come here, just lots of opportunities to dive with amazing marine life and enjoy the beach on your doorstep. 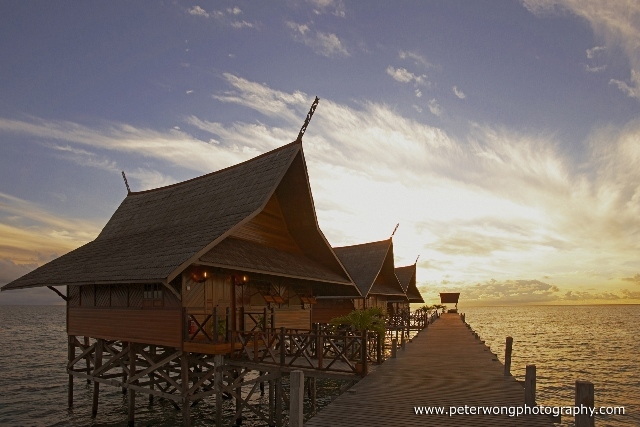 You can choose from one of the eight Water Cottages that sit on stilts and mean that you get great views of Raja Ampat both day and night, and are also located close to the North Lagoon and house reef. If you want even more space however, then you can choose a North Lagoon Villa or South Beach Villa, where you will get to enjoy your own private villa built in the Balinese style that is the perfect place to come back to after a hard day diving, swimming, or snorkeling. Location: Batbitim Island is located south of Misool Island and is within the Raja Ampat Marine Protected Area in West Papua province, Indonesia. Best time to be there: October to April. Close to the islands of Sipadan and Mabul lies Sipadan-Kapalai Dive Resort. The resort is built to mimic the style of the traditional Malay ‘kampung air’ or ‘water villages’, and with that in mind all the buildings here are on stilts and stand just slightly away from the spectacular Ligitan Reefs. From the resort, guests can look out from their own deck and notice that there is no land in any direction, just the vast expanse of the sea in front of you. The waterfront is also known for a sandbank that stretches for a mile in length and you can enjoy the azure waters and pristine sands here as well as the unspoiled views. Some of the dive spots are within swimming distance or a short boat ride away and you can expect to find a plethora of marine life including turtles and large fish. If you prefer, there are also an array of muck diving opportunities if you want to see even more marine flora and fauna up close. Location: Kapalai Island is located in the Celebes Sea near to the better known Sipadan Island, and is part of the Ligitan Reef, Malaysia. Best time to be there: March to October. Lankayan Island Dive Resort is only an hour and a half boat ride away from Sandakan, but you will feel as if you are in another world when you reach this tropical paradise. The resort is part of a wider marine protected area and much of the island that it sits on has been completely untouched. As such, if you want to stay in an area that is made up of tropical forests and untamed lands, then this is the place for you. There are only 23 wooden rooms at the Lankayan Island Dive Resort, which lends itself to an intimate and private stay, and all chalets look out over beautiful beachfront. You can enjoy turquoise waters and white sands here, and the marine life is beyond compare, and you may even get to see some huge, yet harmless whale sharks swim by as you dive among stunning wrecks and colorful coral. Location: Lankayan Island is located in the Sulu Sea within the Sugud Islands Marine Conservation Area, Sandakan, Malaysia. 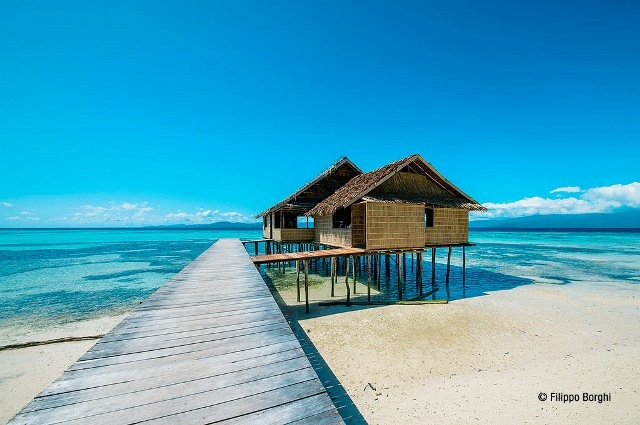 For something truly special, consider heading to the Raja4Divers resort which was opened in 2011 and is built to mimic the local Papuan style architecture. The resort is located on a beach lined with palm trees and there are only 10 bungalows with a maximum of 18 guests, so you will be able to take in the tranquility undisturbed. Each wooden bungalow is built over the water and has its own deck facing West, which means that you get a front row seat to the most spectacular sunsets every night. During the day time, you can of course go diving in small groups of maximum 4 divers per guide, but there are also opportunities for snorkeling, climbing, kayaking, swimming, trekking, or simply relaxing and catching some sun as you read a good book. Location: Pef Island is located South-west of Waigeo Island, Raja Ampat, in West Papua province, Indonesia. Best time to be there: All year round. The Wai Eco Resort is nestled along a stunning white sand beach and is located next to gorgeous coral reefs and mesmerizing sunsets. The resort sits on the dinky private island of Pulau Wai which is itself a coral atoll and you will be completely surrounded here on all sides by the gorgeous white sands. There are only six cottages in total, so know that you will be able to relax in an intimate and quiet setting without large tour groups. The cottages are designed to reflect the traditional Papuan style as well as make use of materials found in the local surroundings such as shells and wood. 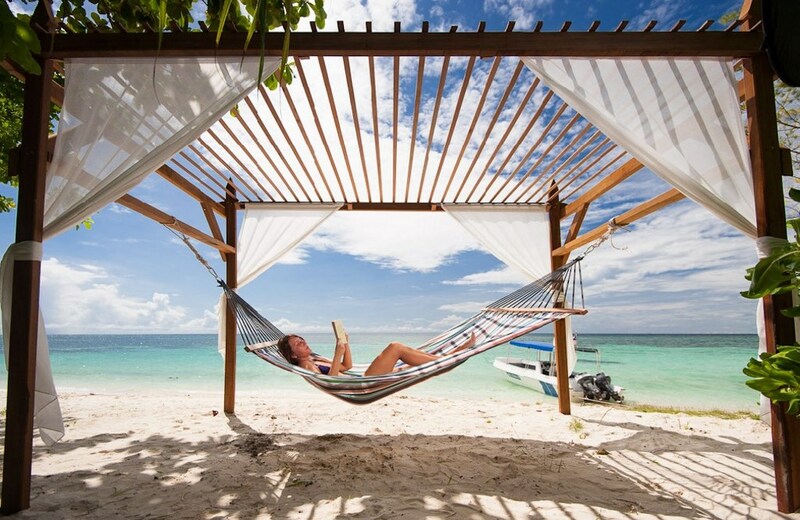 All have their own private beach and features such as canopy beds and hammocks. Cottages are 75 square meters in size, and all of them have terraces which are perfect if you want to take in the stunning ocean views that abound here. Location: Wai Island, Raja Ampat, Indonesia.